TWO SOUTHERN CLERGYMEN who had been active in the army revivals wrote books detailing the religious life of the Confederate forces. 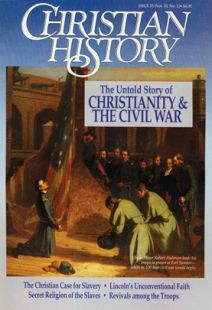 In 1877, William W. Bennett, a minister who had headed the Methodist Soldiers’ Tract Association, published “A Narrative of the Great Revival Which Prevailed in the Southern Armies.” Bennett believed the southern army camp had truly been “a school of Christ,” where pious generals like Stonewall Jackson and Robert E. Lee led their men both in battles and in prayer meetings. The “moral miracles” that had taken place among Confederate soldiers were the most magnificent of all time; they truly became the “‘silver lining’ to the dark and heavy cloud” of the South’s defeat. "[Another minister wrote]: ‘The cold, mud, and rain, have produced great suffering and sickness among the troops; for we have been entirely without shelter in very exposed positions . . . In our field hospital we have over 350 sick . . . Published a decade after Bennett’s work, J. William Jones’s Christ in the Camp described what Jones had seen while chaplain to the Army of Northern Virginia. He was the Union’s leading general and twice president of the United States. But he was no saint.